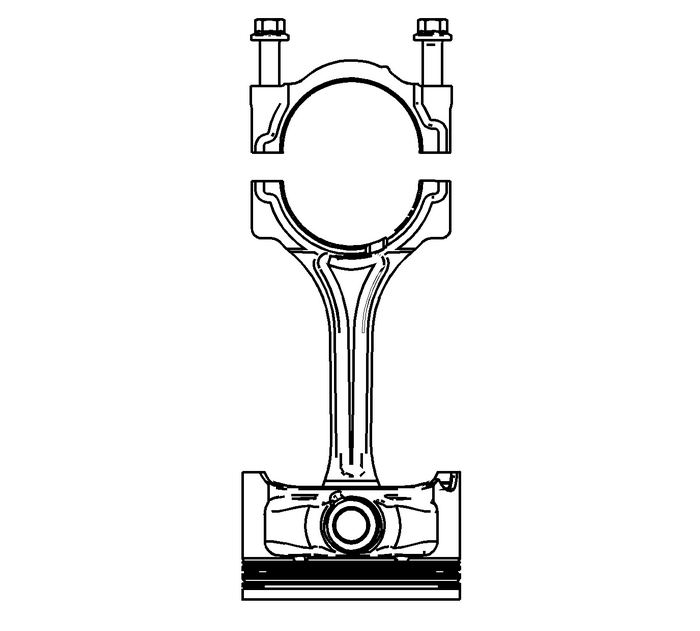 An arrow/dot showing proper piston orientation is located onthe top of the piston.If the connecting rod bearings have been used in a runningengine, you must replace them with NEW connecting rod bearings forreassembly.Before removing the connecting rods, check the connecting rodside clearance using the following procedure:Tap the connecting rod to one end of the crankshaft journalwith a dead-blow or wooden hammer.Using feeler gauges, measure the clearance between thecrankshaft counterweight and the connecting rod.The connecting rod side clearance should not exceedspecifications. Refer toEngine Mechanical Specifications.If the end play exceeds the specified limits, measure thewidth of the crankpin end of the connecting rod. 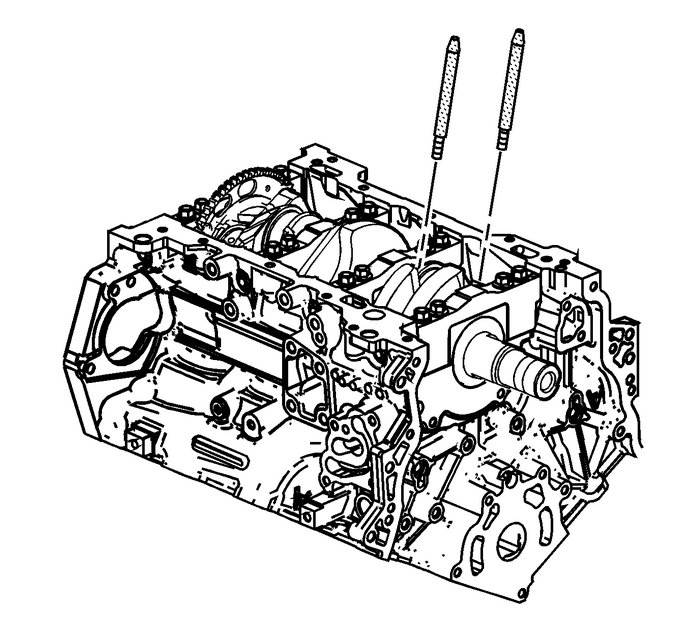 Refer toPiston, Connecting Rod, and Bearing Cleaning and Inspection.If the connecting rod width is significantly smaller thanspecified and severe wear is present on the side of the connectingrod, replace the connecting rod.If the connecting rod width is within specification andexcessive scoring is present on the crankshaft journals, replacethe crankshaft.Using a marker, number each piston face. Draw an arrow alongthe centerline of the piston pointing toward the front of theengine. 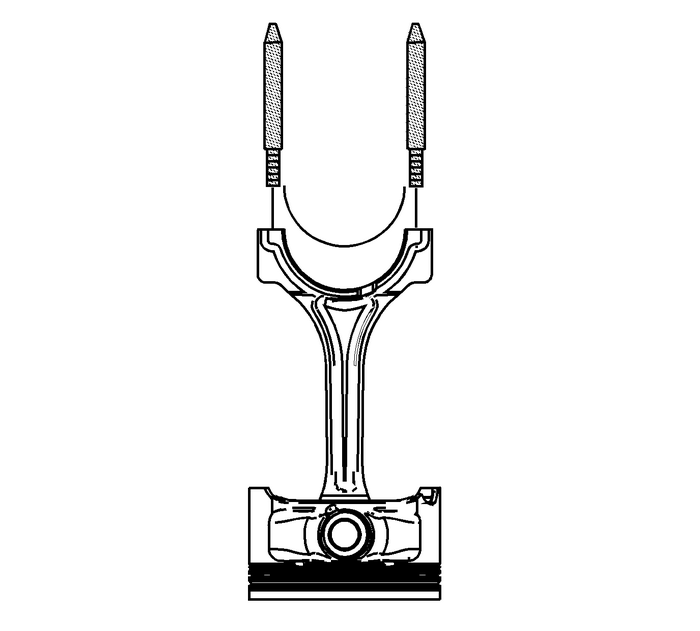 Caution:Do not use a stamp, punch or any other method that maydistort or stress the connecting rod or connecting rod cap.Extensive engine damage may result from a connecting rod that isdistorted or stressed. Mark the cylinder number on the connecting rod and theconnecting rod cap with a scribe, paint stick or permanentmarker. Caution:Powdered metal connecting rods have rod bolts which yieldwhen torqued. If the rod bolts are loosened or removed the rodbolts must be replaced. Rod bolts that are not replaced will nottorque to the correct clamp load and can lead to serious enginedamage. Remove the connecting rod bolts. Note:The connecting rod caps must remain with the originalconnecting rod. Remove the connecting rod cap. Install theEN 46121setinto the connecting rod bolt holes. 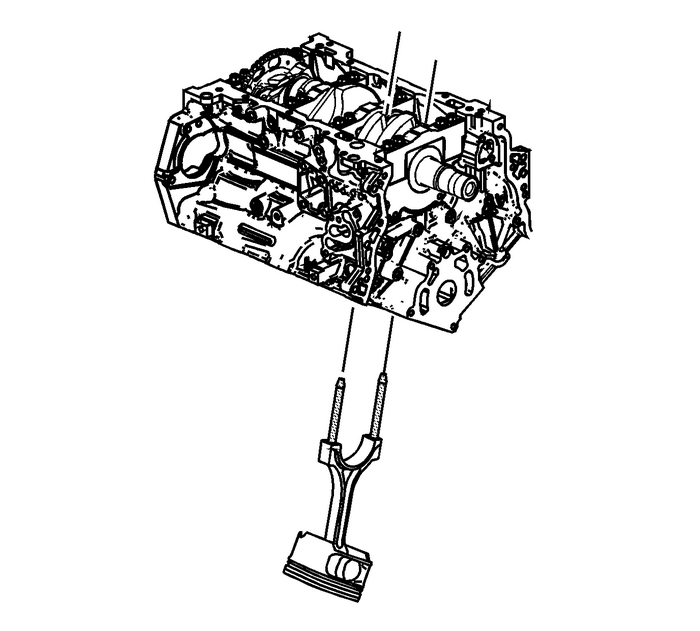 Using theEN 46121set, push the connecting rod and piston assembly through thetop of the cylinder. 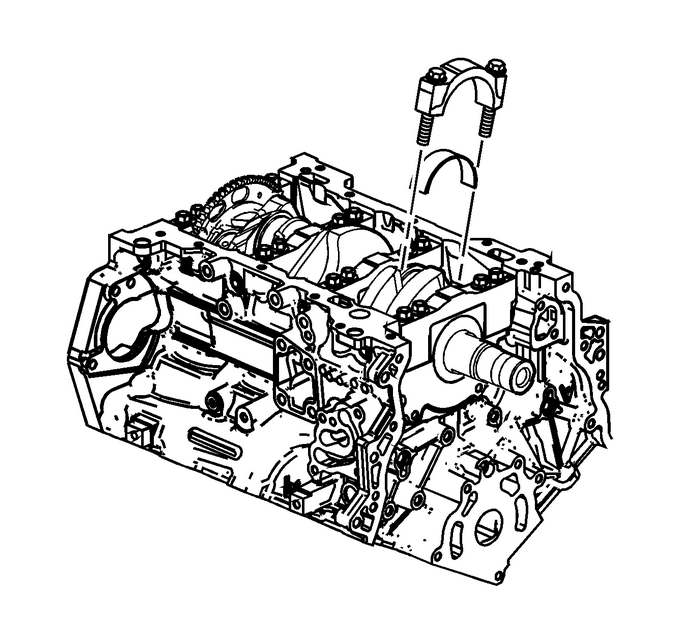 DO NOT scratch the crankshaft journal orcylinder wall and DO NOT damage the oil jets when removing theconnecting rod and piston assembly. Remove theEN 46121setfrom the connecting rod bolt holes.Remove the upper connecting rod bearing from the connectingrod. Remove the lower connecting rod bearing from the connectingrod cap. 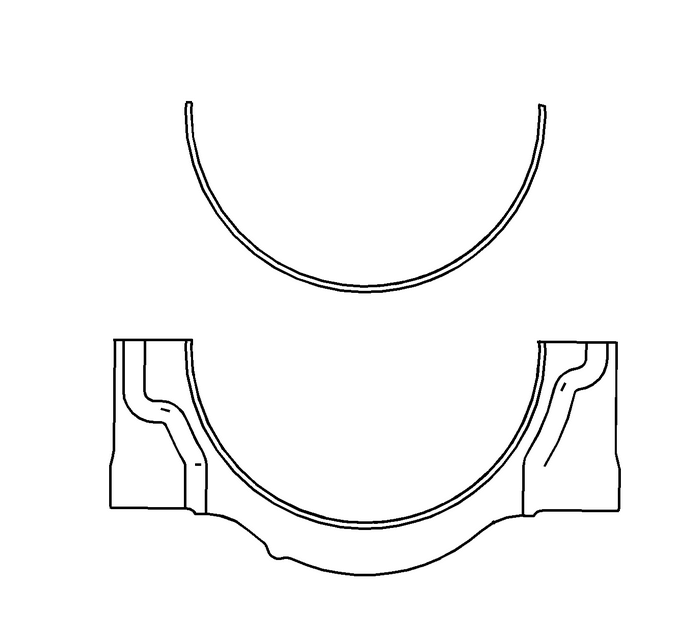 Reattach the connecting rod cap to the connecting rod toprevent damage to their mating surfaces. The cap and rod are amatched set and must be kept together.